Sporting Hackney Mind is a mental-health community football project developed in partnership between Sporting Hackney Football Club and Mind, City, Hackney & Waltham Forest (CHWF). Both organisations are rooted in the community of Hackney. 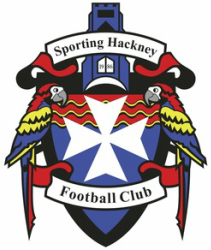 Mind has been supporting mental health in the borough since 1981 and Sporting Hackney was formed in 1986 to offer relief to the unemployed. They share a passion and commitment to the improvement of people’s mental, emotional and physical well-being. The Sporting Hackney Mind football project is open to people of all ages and backgrounds. The project was launched to parallel with the 2018 football World Cup and to offer weekly football training to members of the community in a safe, friendly environment. Research from multiple studies shows that sport can have a positive effect on stress, anxiety and depression. The sessions are designed to be fun whilst aiming to develop social and football skills; ultimately improving physical and mental health and combating social exclusion. Footballers from Sporting Hackney FC run the coaching sessions and the players are referred to the project by Mind CHWF who ensure a well-being practitioner attends each session. The players come from a range of backgrounds and abilities and during the sessions every consideration is given to ensuring everyone can get involved and play their part. There have been between 10-15 players weekly and the project has been hugely successful so far. Over the course of the first 8-week programme the coaches noticed a dramatic development in football skills, communication, confidence and increased fitness levels in the players. A real togetherness between the players and coaches has helped create a fun learning environment where friendships have flourished. “We have had an excellent experience with the Sporting Hackney coaches. The coaches are incredibly dedicated, collaborative, patient and encouraging to myself and my colleagues at Mind, as well as to the players. “The participants have significant backgrounds of serious mental illness and institutionalisation, and yet the project has been extremely fun, dynamic, non-stigmatising and effective in improving their emotional and physical wellbeing."